Ahhh humpday, we're halfway there loves! Today I'm showing off the last of my Hare Polish 'Stir Crazy' polishes in the last Humday Hare of the month. 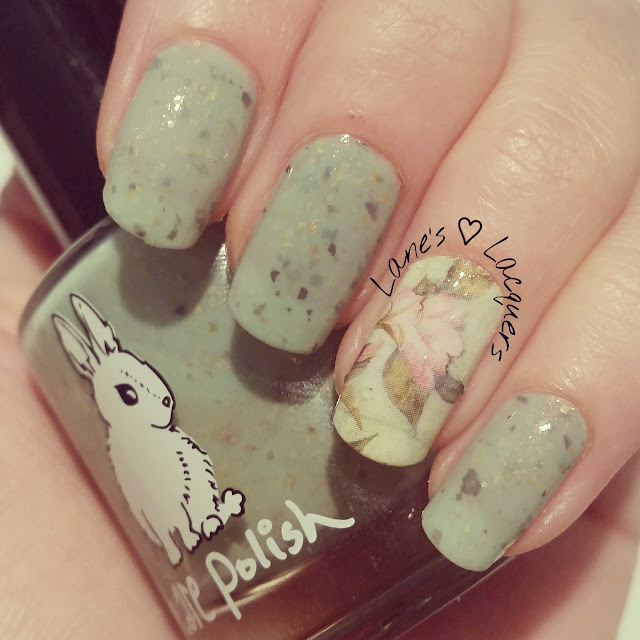 Born To Roam is a pretty, soft mint green with large metallic silver flakies, gold flakies & gold shimmer. 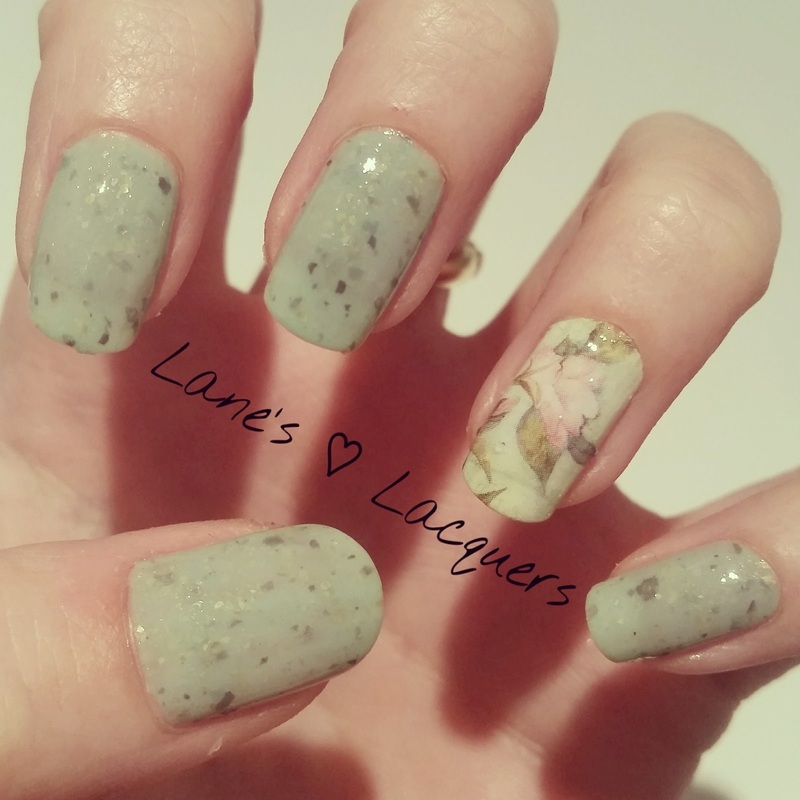 It's very delicate and I think suits both Spring & Autumn time, I paired it up with an equally pretty and delicate floral accent nail using Born Pretty Store Water Transfers. Born to Roam is quite sheer so it took three coats to get it this opaque but the formula is great and each coat dried super fast. 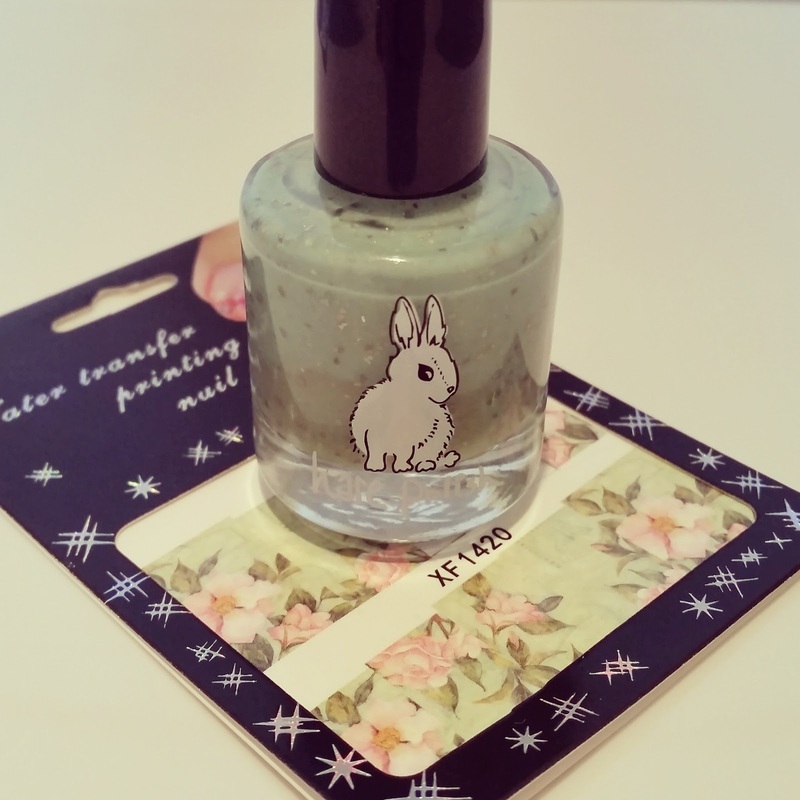 I added the opaque water transfer on to one coat of the polish on the accent nail, trimmed and topcoated. Super simples. Just like last humpday, the water transfer is almost made for this polish, they go together perfectly! Perfect accent yet again! I love her flakie polishes so much.